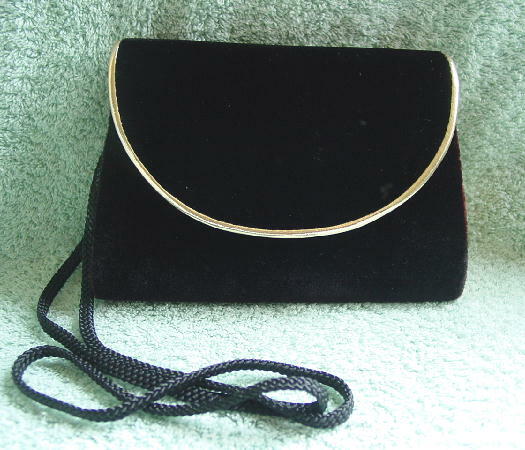 This black crushed velvet evening purse is by La Regale and was handmade in China. It has a modified envelope styling with a magnetic snap closure. There is a 46" long black cord shoulder strap which can be tucket inside. 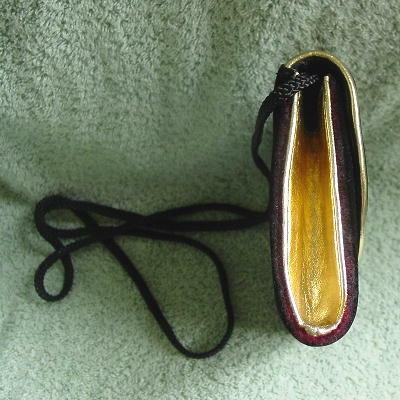 It has a small interior pocket. The exterior sides are gold lame and the lid has a gold lame edging.